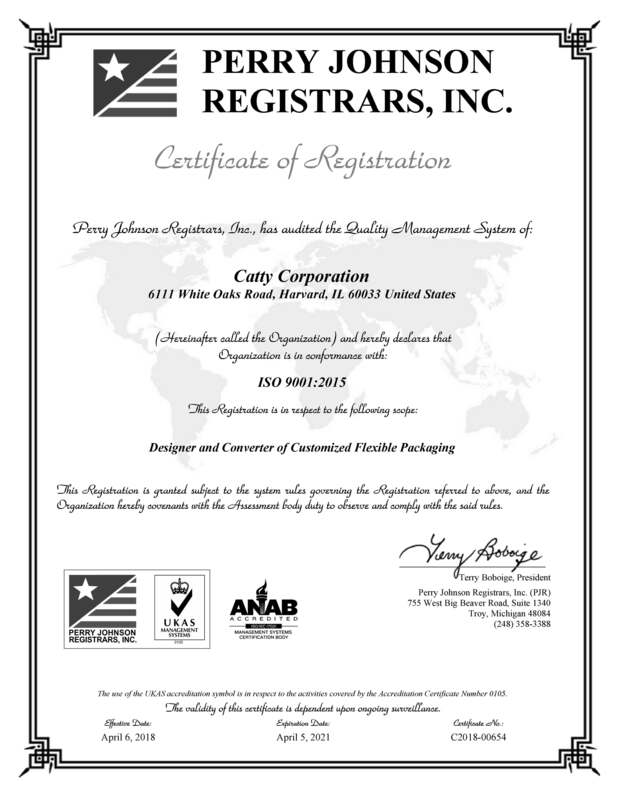 Catty maintains a well equipped and competently staffed QC lab to support a 24-hour operation. 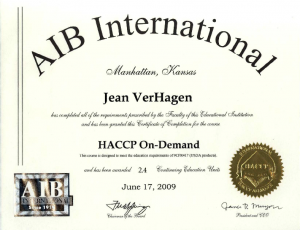 All lab test methods, manufacturing procedures, processing equipment, and personnel are properly regulated according to the guidelines of the ISO 9001:2015 standard. 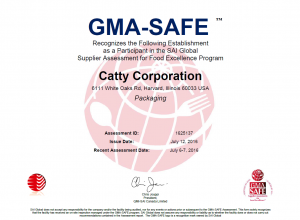 In addition to ISO 9001:2015 certification Catty maintains GMA (Grocery Manufacturers Association) and FPA (Food Packaging Association) certifications. The facility also strictly adheres to GMP (Good Manufacturing Practices) regulations. 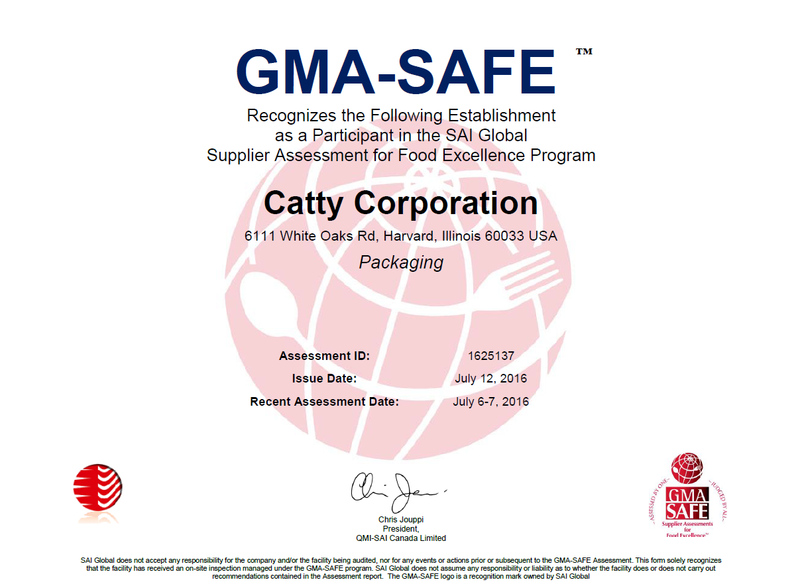 Catty maintains GMA (Grocery Manufacturers Association) and FPA (Food Packaging Association) certifications. 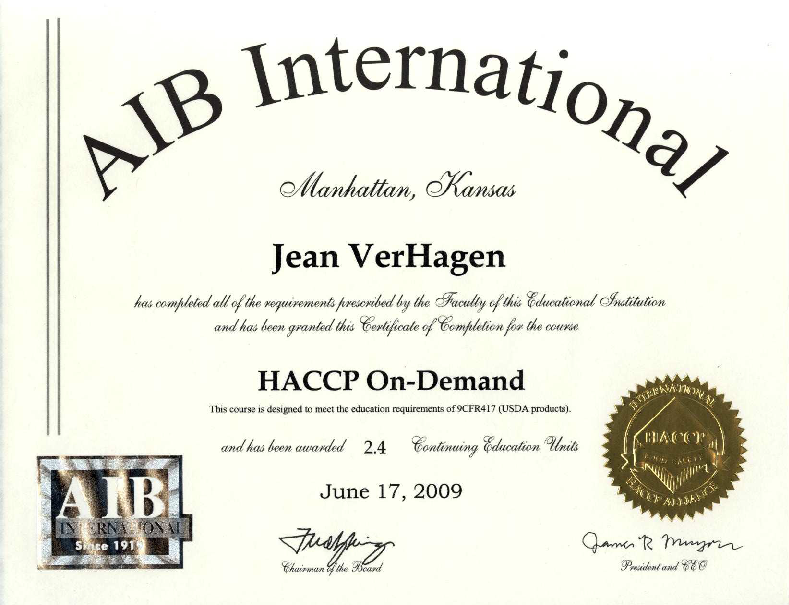 The facility also strictly adheres to GMP (Good Manufacturing Practices) regulations. 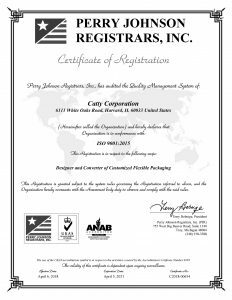 The goal of Catty Corporation is to be the supplier of choice based upon superior quality and service. We will achieve this by meeting customer requirements and continually improve the effectiveness of the Quality Management System.